"Being Parisian is about more than just a look. It's about an attitude. Wearing jeans to a nightclub and heels to the supermarket. Taking the stairs "for exersize" literally as you are biting into a bazillion-calorie croissant. Of course, the look helps." Welcome back to my blog. Today I have something that I'm really excited about to share with you. Recently I've been working on a project with the lovely subscription box brand My Little Box. My Little Box is the ultimate gift of Parisian style. Every month a different (always super cute) theme, with a selection of beauty products, a fashion accessory, and a gorgeous little glossy magazine with all the need-to-know for Parisian lifestyle. I've been receiving these boxes for the past five months, and they are always beautifully packaged and full of darling surprises. So you can imagine my excitement that this month, (September is my favourite month!) I have teamed up with MLB to create the September Mademoiselle Box! I had so much fun working on this, and it's so so pretty that I had to share it with you on my blog. 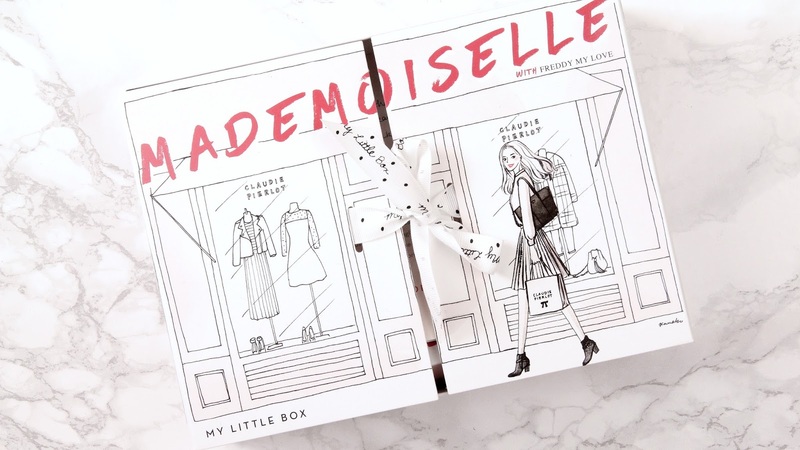 This month, My Little Box have also teamed up with the designer Claudie Pierlot, whose feminine, elegant, flirty style is the perfect match for the Mademoiselle box, and for me! 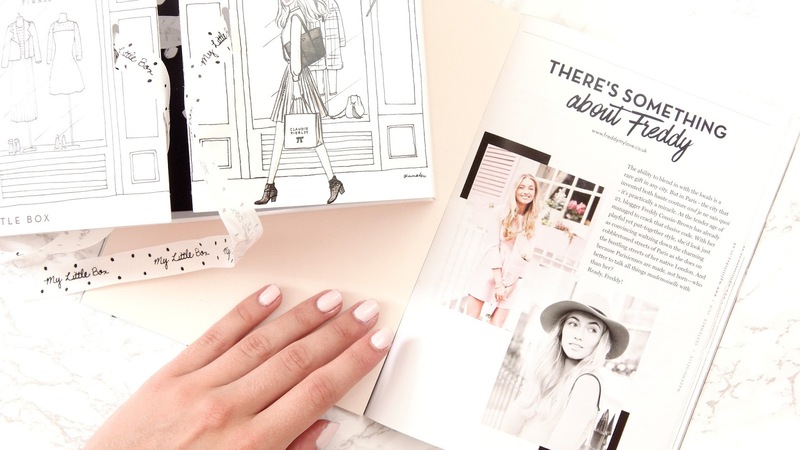 I'm just in love with the design of the box- the sketch of me was actually drawn from a picture on my blog! 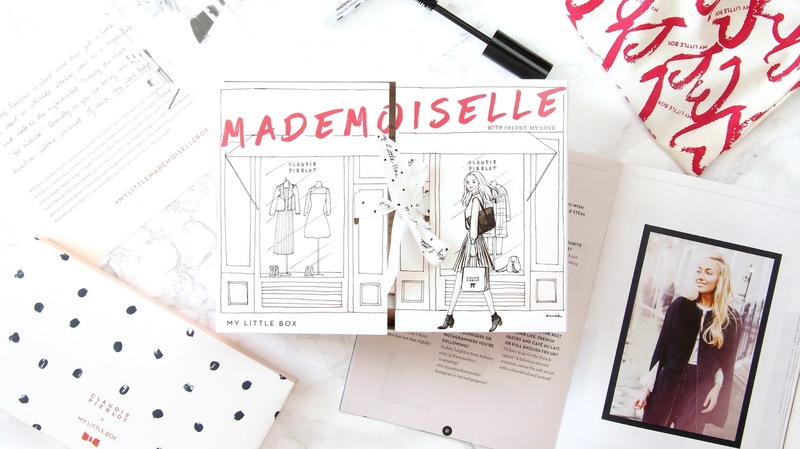 Inside every box is a little magazine, "My Little World", with beauty and fashion tips and interviews, it really is a bible for those who want to master the très classic Parisian lifestyle. 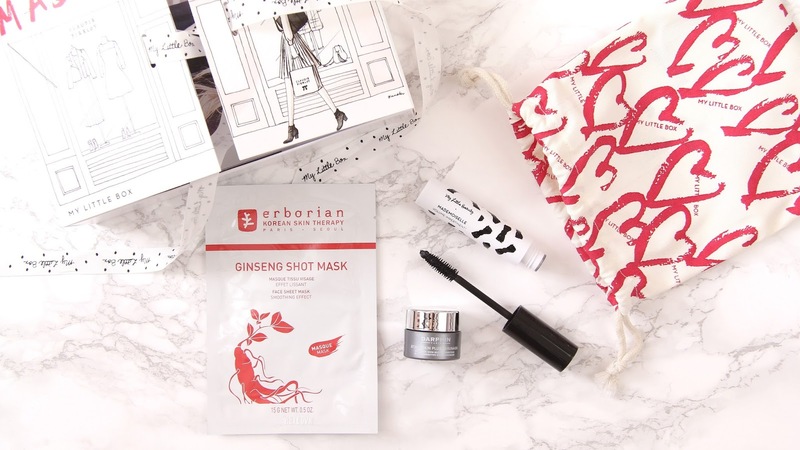 The treats inside the Mademoiselle box, are firstly the Mademoiselle Volume Impertinent Mascara, from the brand's very own beauty brand My Little Beauty, a Ginseng sheet mask, and a pot of Darphin Paris anti-aging masque. 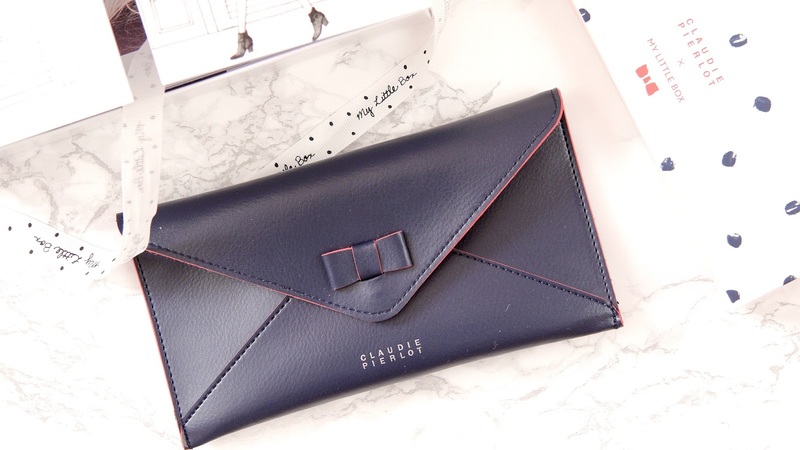 And, of course, this beautiful Claudie Pierlot 'Mademoiselle Pierlot' envelope purse. So adorable! So just a quick post this week, but I've been so excited to show you, and I would absolutely love for you to order one of these beautiful boxes yourselves. They are £14.95 per month, including postage, but you can receive £3.95 OFF my box until the end of September by using my discount code MYLITTLEFREDDY at checkout! This post was kindly SPONSORED by My Little Box. Find out more about the way I work with brands here.